This collection of witty, insightful, thought-provoking and inspiring essays about lessons learned in college cover the full range of the experience of higher education: lessons learned from triumph and near-disaster, lessons learned from professors and classmates, turning points that defined a career and those that defined a character. Discover ways to experience college life to the fullest—regardless of which university, what major, or which activities intrigue you the most. 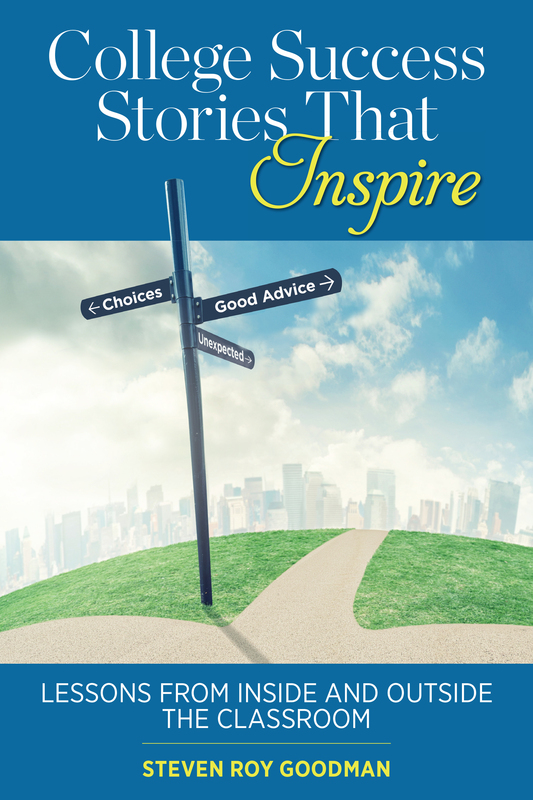 Learn from a variety of successful people whose stories shared, lessons mastered, mistakes made, and memories recalled can help you flourish during your college experience. Explore exciting academic and extracurricular possibilities for your years ahead. Bonus for families: College Success Stories That Inspire also provides creative ways to share future paths with aspiring college students. Alumni associations and reunion committees can tap into this book to host meaningful networking events, career reinvention seminars, and multigenerational education programs. Q: How did you come up with this book, and how did you collect the stories you included? A: It came down to memory. After my first book came out, what surprised me is how many people wanted to talk about very personal things. I was surprised by how many people wanted to relate personal stories at public venues–I’m at a wedding, on a train, people want to tell me about college-related things that happened to them. The more that happened, I thought I should try to collect them. I started thinking about this in terms of memories—what to do with college memories. I thought they wanted to tell me because of my work with college admissions—but maybe this could be helpful to people dealing with college admissions. I thought about what connected the stories. The story could have been from California, the story could have been from New York, the story could have been about a professor, the story could have been about a roommate. That would be the structure. About the people included—I started reaching out to former students, then to people I knew tangentially in the education world, then to people I didn’t know at all. There were a number of people who, when word got out I was doing this, sent me contributions. But I couldn’t put them all in—either I couldn’t confirm the details of the story, or there was no story. I think it’s important that there be some lesson one could learn from this. As a college advisor and strategist, I help U.S. and international students identify schools that are a good fit or offer particular academic and extracurricular programs. Along the way, I often walk a fine line between helping a student navigate a specific field of interest and encouraging a student to explore completely new opportunities. When should we suggest a student broaden his or her thinking? When should we encourage a student to focus on particular areas of expertise? The stories in this book cross back and forth over this line. Some contributors are glad they participated in certain activities or studied specific things in college. Others are pleased that someone on campus challenged them to pursue fields or classes they had never considered before. What does this mean for you, the prospective student? You have in your hands a smorgasbord of ideas, paths, and experiences that await you during your college years. Even before you begin searching for the right schools, you can develop a nuanced understanding of various aspects of collegiate life and plan to maximize your own higher education experiences. For parents, this book will assist you as you guide your child through the ups and downs of the college admissions process. The stories and reflections will trigger memories that can be useful today. You’ll be able to look at your own college experiences in a broader context while your son or daughter learns about a wide selection of university resources. For alumni associations and reunion committees, this book will facilitate connections between alumni of different ages and serve as the basis for meaningful group education discussions. Back to you, the student. While some people believe your path is predetermined, I want you to be inspired by the stories in this book and then make up your own mind about the future. Have the courage to explore what you could potentially like, consider a range of postsecondary programs, and find your own academic and extracurricular balance. Let’s go ahead and see what college experiences may await you.